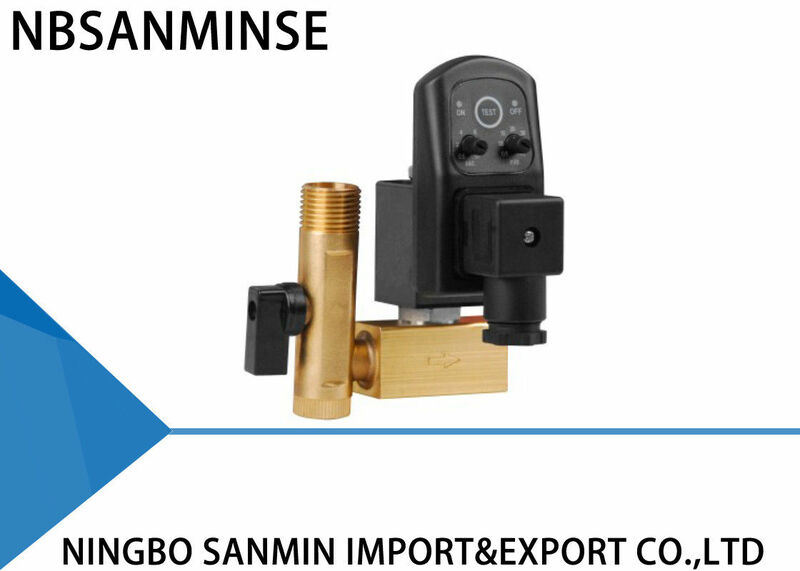 G1 / 4 " , G3 / 8 " , G1 / 2 "
Solenoid valve is divided into normally closed and normally open . General choose normally close , power on is open and power off is shut down ; But in the open for a long time and very short close time to choose the normally open type . 1 . The pipeline fluid must same as solenoid valve marked medium . 3 . 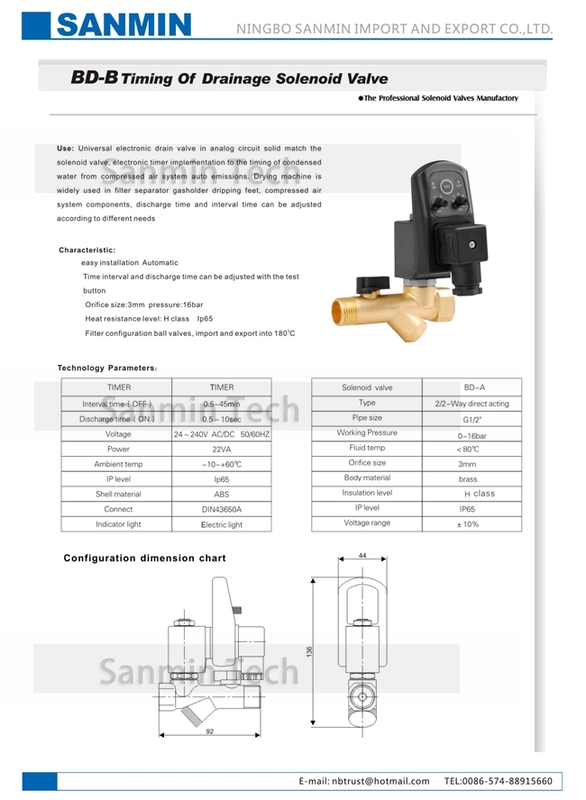 Pay attention to the environmental temperature on the influence of solenoid valve . solenoid valve opening and closing time regulation . 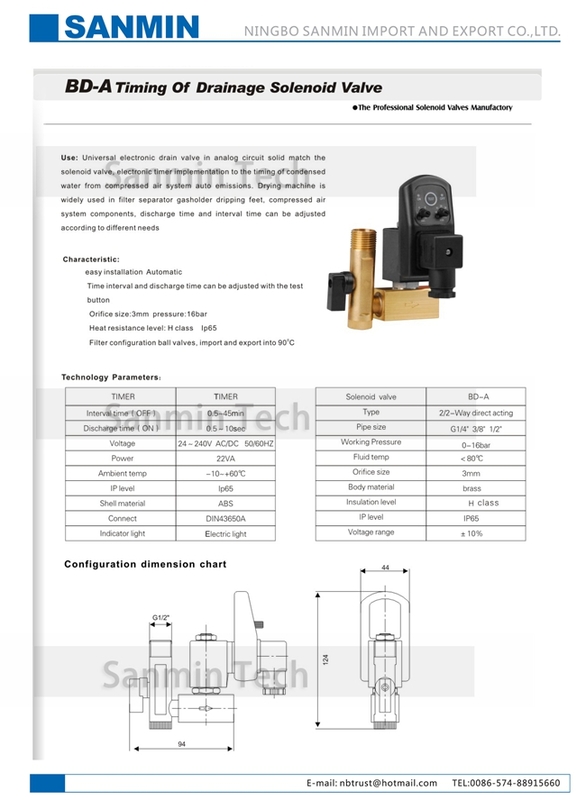 Nominal pressure solenoid valve of the highest calibration must be more than the highest pressure in the pipeline , otherwise life will shorten or other unexpected circumstances . Universeal electronic drain valve in analog circuit solid match the solenoid valve ,electronic timer implementation to the timing of condensed water from compressed air systemuto emissions . Drying machine is sidely used in filter separator gasholder dripping feet , compressed air system components , discharge time and interval time can be adjusted according to different needs . A: Yes , of course , we can make . we are OEM supplier for years and professional to make . But you need give us the authorization for work .